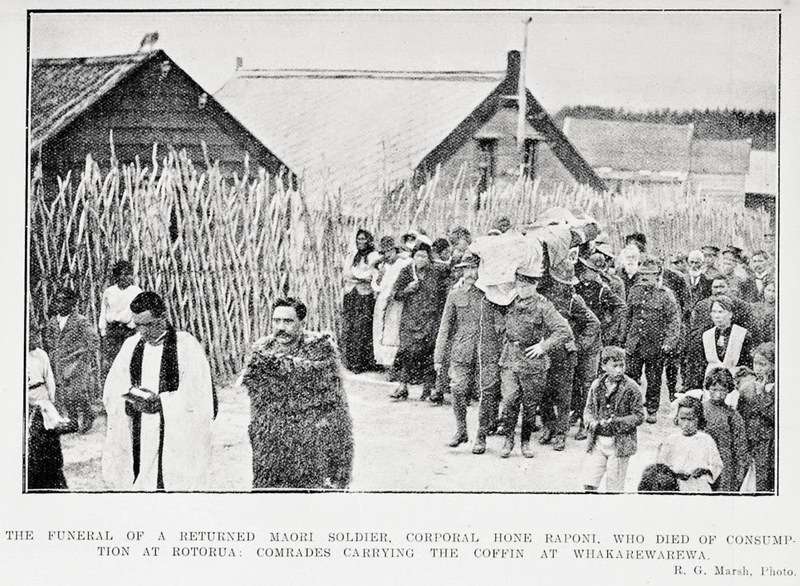 During the First World War, over 2,000 Māori served under the Native Contingent and the Māori Pioneer Battalion. 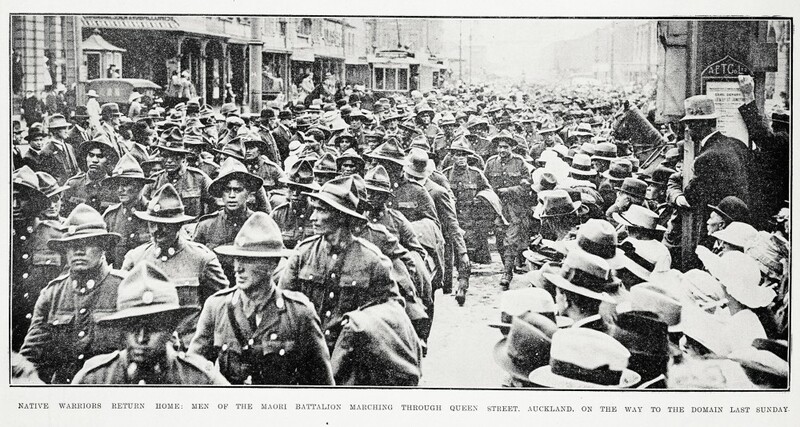 Conscription of Māori did not take place until 1917, prior to this date, Māori involvement was purely voluntary. 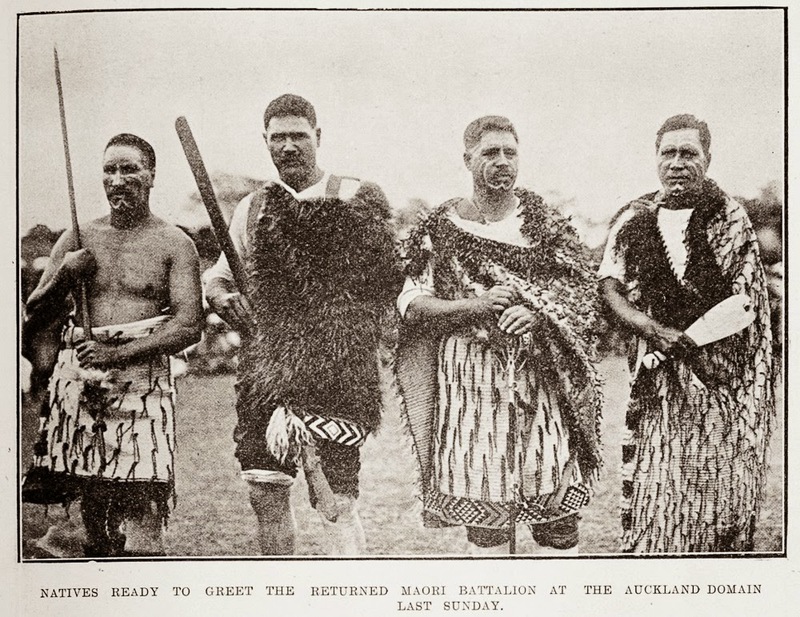 Changes put in place in late 1915/early 1916 led to the disestablishment of the Native Contingent and the incorporation of Māori soldiers into the New Zealand Pioneer Battalion, which is more commonly known as the Māori Pioneer Battalion. 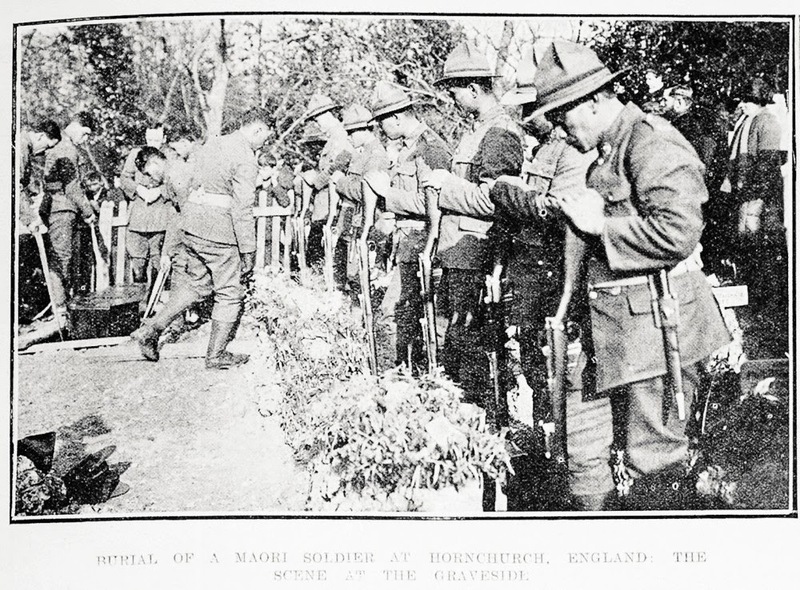 The pioneers were tasked with engineering tasks, digging trenches, building roads, railways. 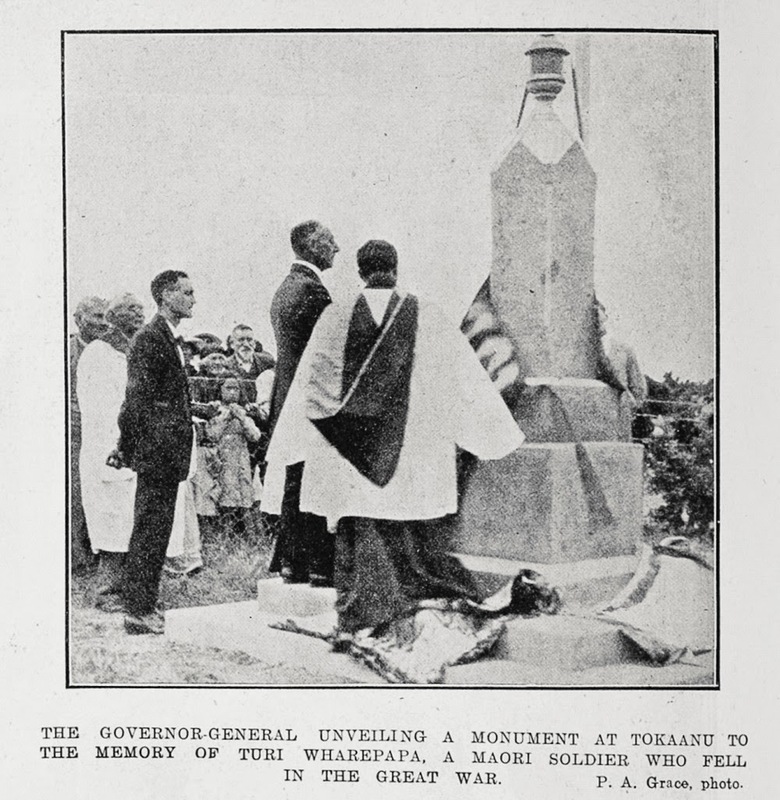 This was hard and dangerous work, which often took place under fire. 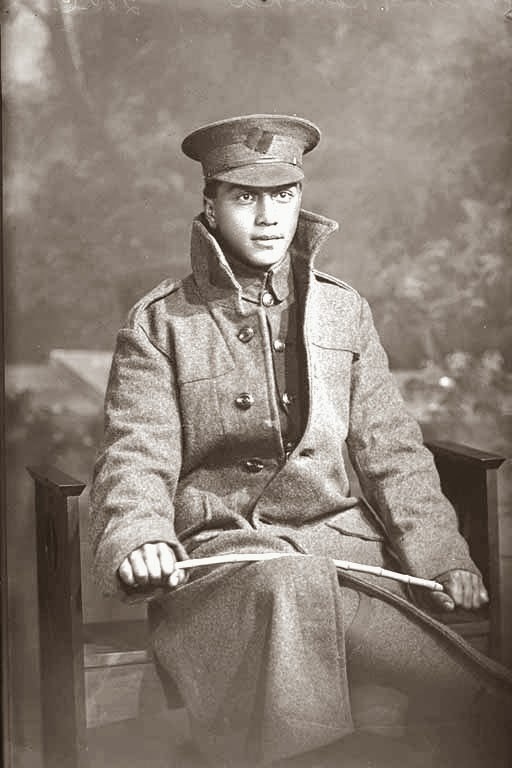 Pacific Islanders including Cook Islanders and Niueans also served during the First World War. 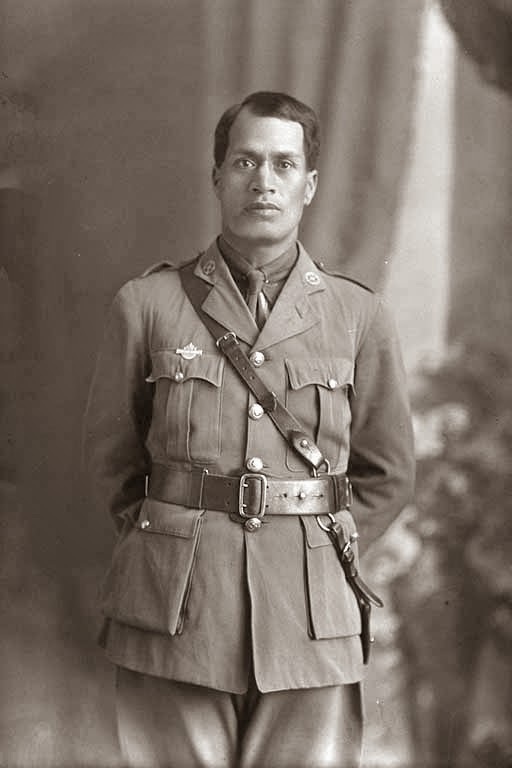 The Niuean contingent and the 1st Contingent of Cook Islanders provided reinforcements for the Māori Pioneer Battalion in Egypt and subsequently in France. 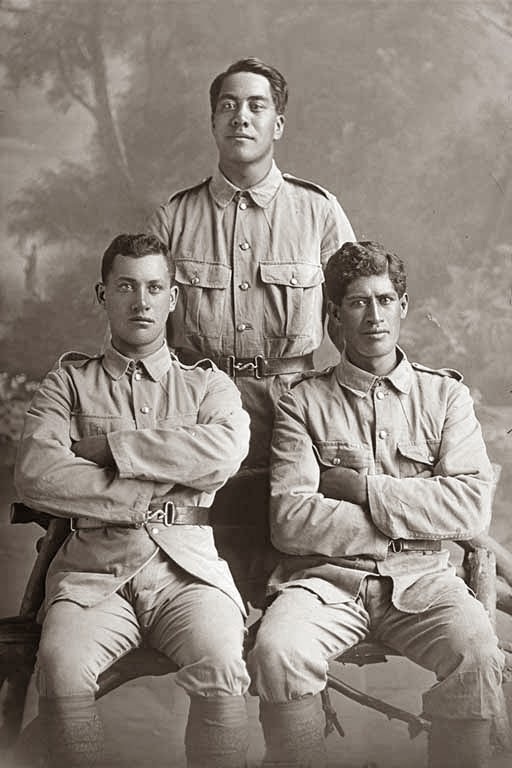 The 2nd and 3rd Cook contingents, known as the Rarotongan Company, served with the British Sinai and Palestine. 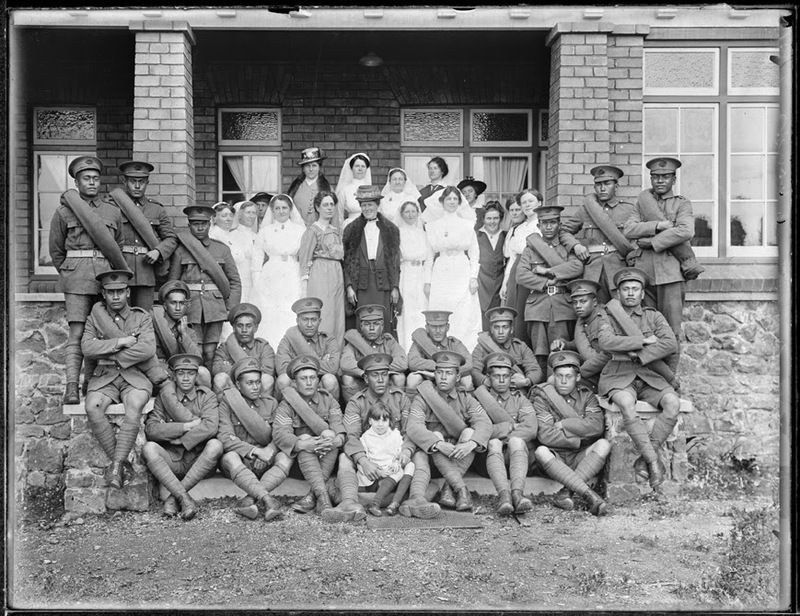 If you want to find out more about Māori soldiers and their involvement and sacrifice during the First World War, you can browse the library's selection of heritage resources. 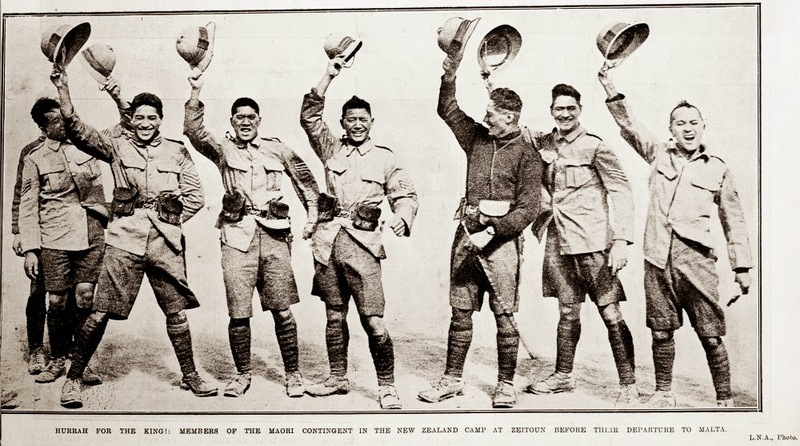 The library's Our boys guide is also a great for information about both Māori and Pacific Islands soldiers in the First World War. 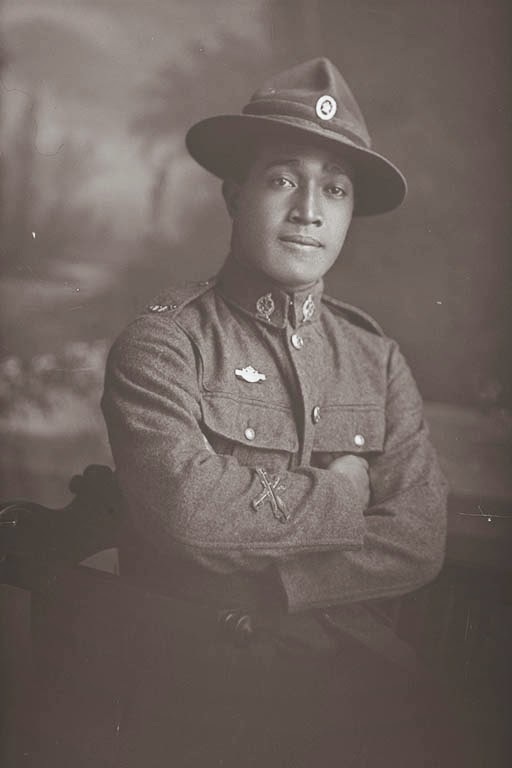 The library also holds around 4,500 Herman John Schmidt negatives depicting WWI soldier portrait, which is a particularly valuable resource. 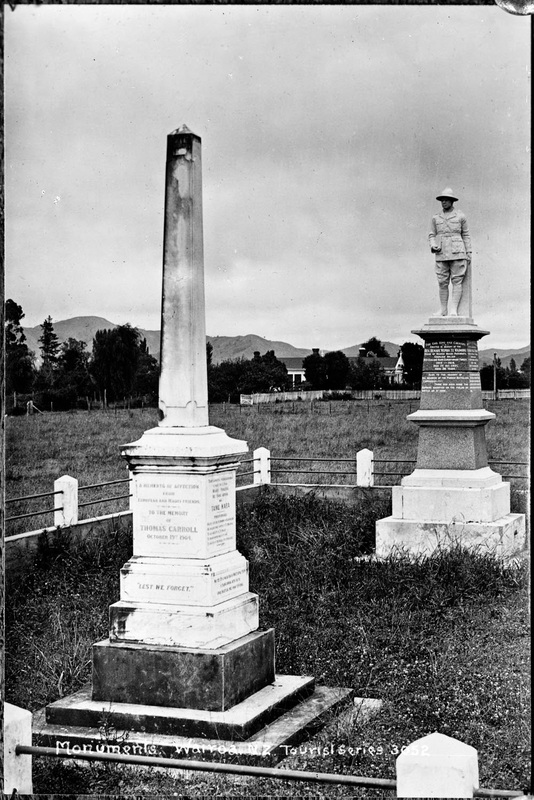 All images are searchable using the Heritage Images database. 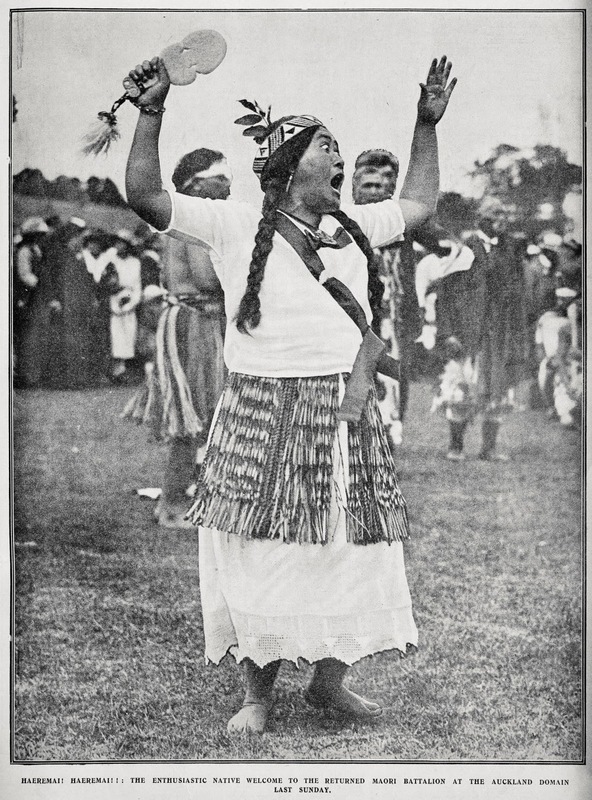 To search for these images, all you need to do is enter Schmidt into the search box of the database. 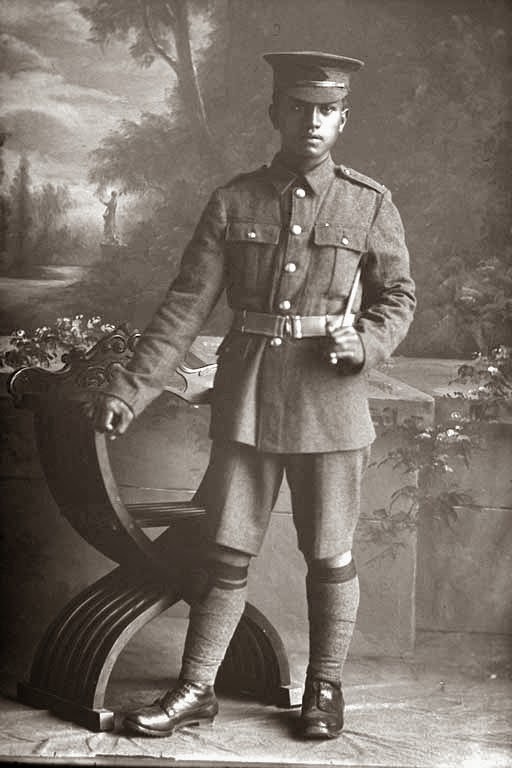 To refine your search, use the Advanced Search option and simply enter Schmidt into the Photographer/Publisher search box and then soldiers into the Subjects search box and click on Advanced Search. If you know the person's name, you can simply enter this into the main keywords search box. I'm sure that there's an interesting story about how a photographer called Herman Schmidt managed to run a business in NZ during the First World War? Yes there is. 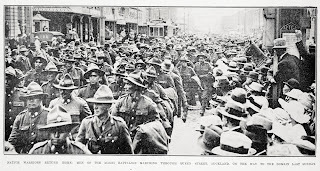 I've written a short article "Schmidt Studios and anti-German sentiment in New Zealand during WW1" which should appear in a commemorative booklet about the war published by the Panmure Branch of the NZ Society of Genealogists later this year. 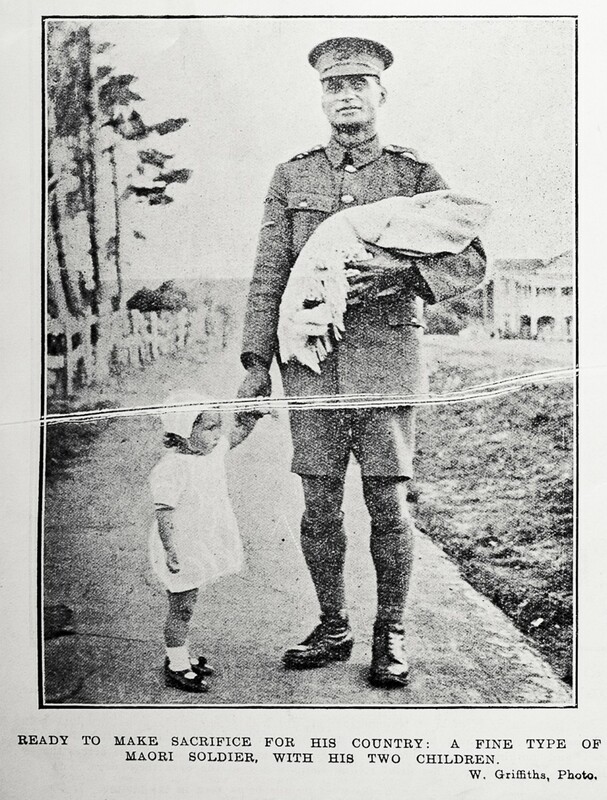 Thank you for your comment and for raising this topic - great to see that there is indeed a Schmidt article with further information.